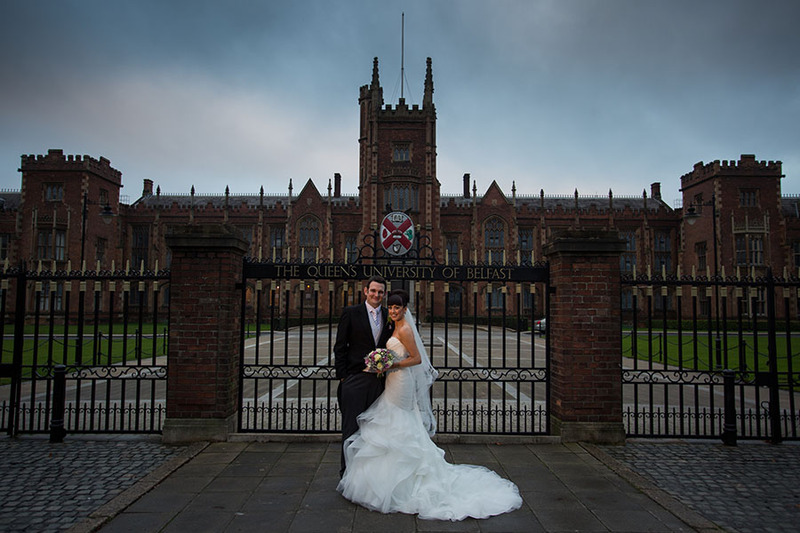 Our lovely couple Katie and Gary were married this past November in St.Patricks Church, Lisburn with their reception in the Ramada Hotel Shaws Bridge, Belfast. 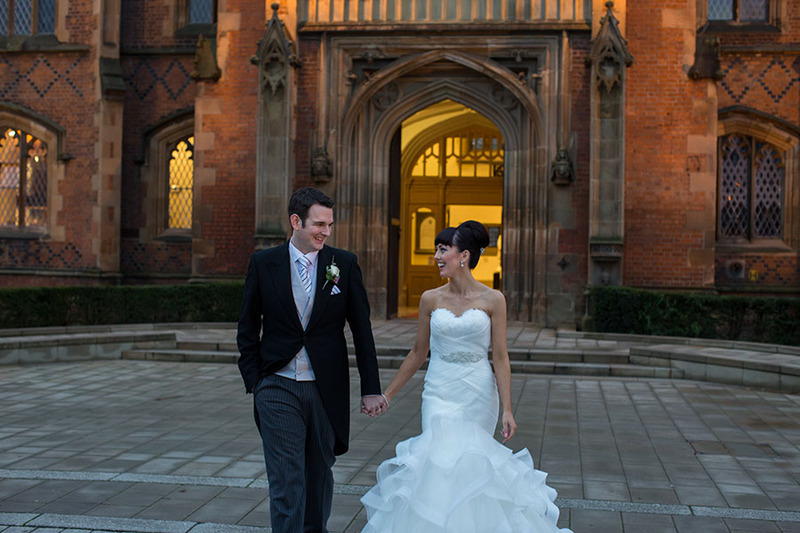 As Katie works in event planning, bringing her dream day to reality was her biggest and most important event yet which she carried off with elegance and flair! 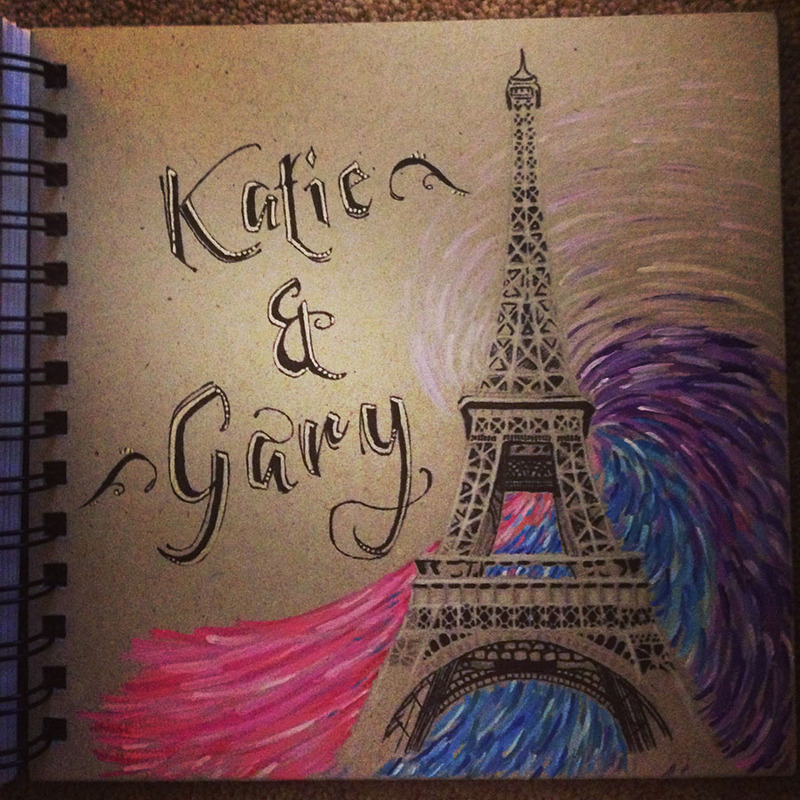 After their engagement in Paris Katie wanted to be married within the year and began her planning immediately. 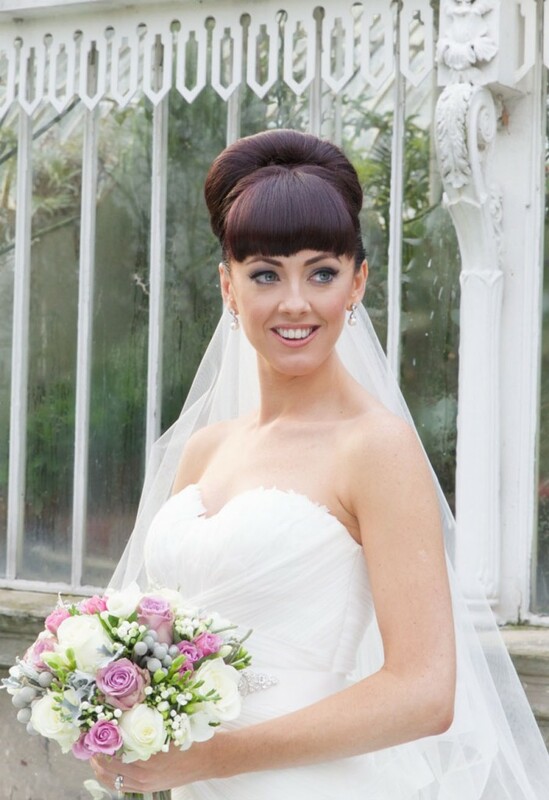 In the end her wedding to Gary was exactly one year and one week after their engagement- not bad! Katie was lucky that she knew exactly what she was after in terms of the theme and feel of her day. “There was no particular theme but given it was a winter wedding I wanted everything to be crisp – just like a frosted cold day. 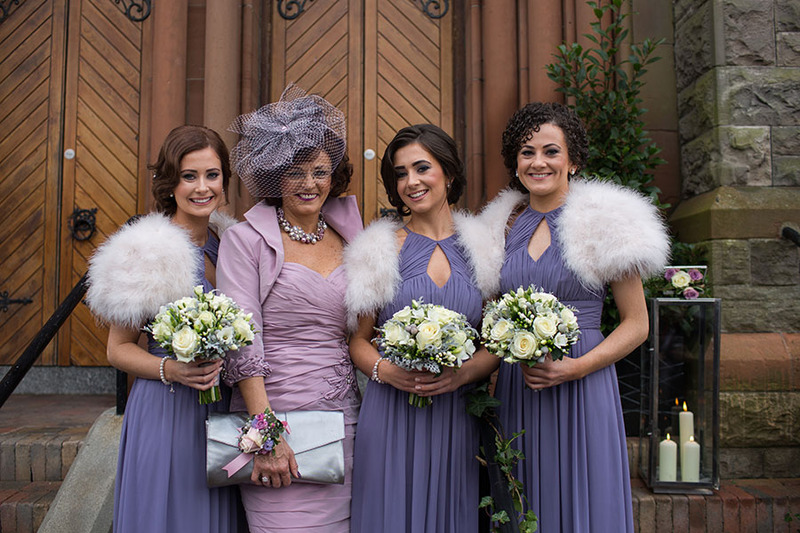 I included Swarovski Crystals on the invites, jewellery and cake and bridal party all wore feather capes. 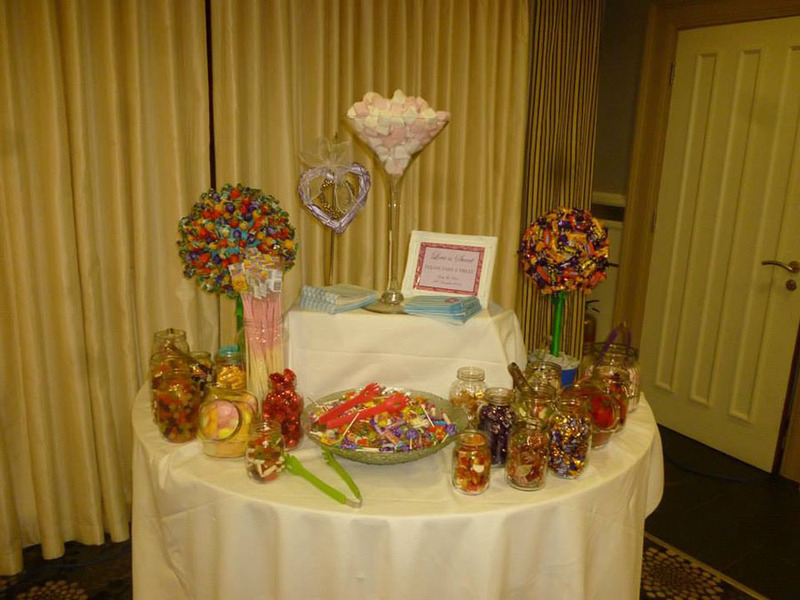 I wanted to add elements of my own DIY into the day in the table centres and pew ends. My mum and I collected jam jars and decorated them with ribbons and tags. We finished them off with flowers,” explained Katie. Katie knew exactly what kind of wedding gown she wanted to after a lengthly search in over ten bridal salons she just couldn’t find it. 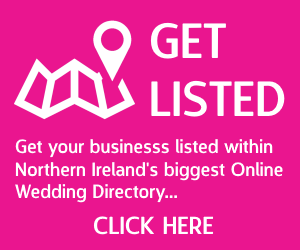 “After trying on about 100 dresses I made a booking at Serendipity Bridal Boutique in Fivemiletown. I knew they stocked Pronovias gowns and I had done my research, this was my last hope of finding my dress! When I saw it I knew… almost instantly that this was THE dress for me…. It was a fitted strapless dress with a big bottom and train… everything I had in my head and could never find” added Katie. 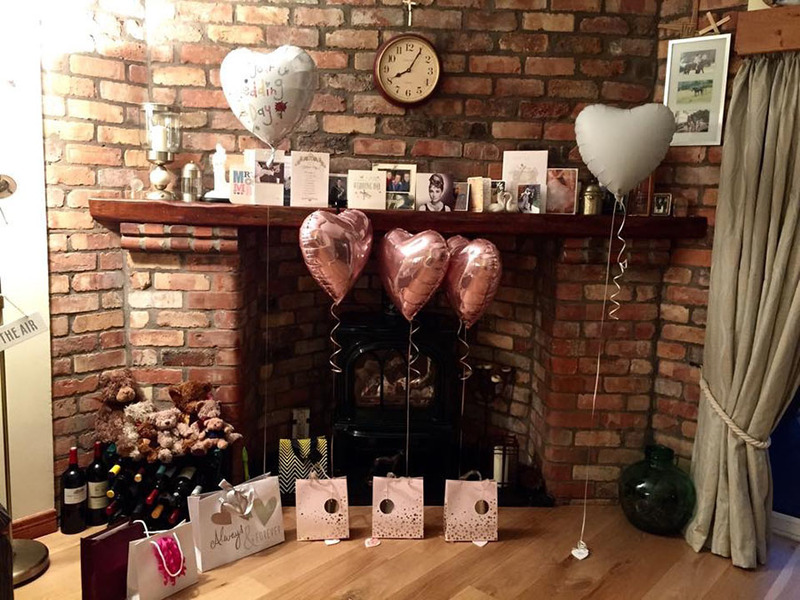 “Our day was amazing but trying to get a house full of girls out of the house (one man – our dad) is a challenge let alone on the biggest day in the household! We thought we had plenty of time and then before we knew it, it was already midday and the time the service was due to start. It was a huge rush to get out of the house and we left the keys with our hairdresser to lockup! 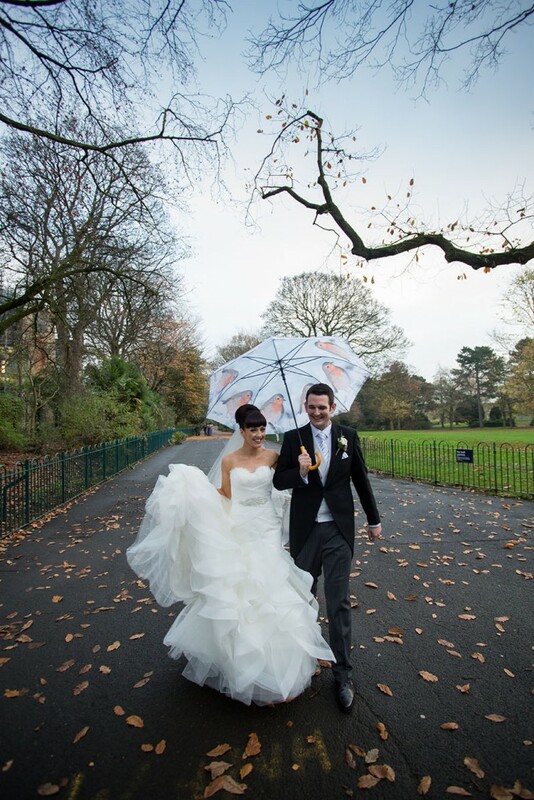 My dad and I had to make a sharp exit as we were running 25 minutes late -poor Gary felt the pressure then!” said Katie. “Our highlight was sitting at the top of the table and seeing everyone enjoy themselves. We had especially wanted a day that would be a memorable one not just for ourselves but for our guests and I think we achieved that,” added Katie. 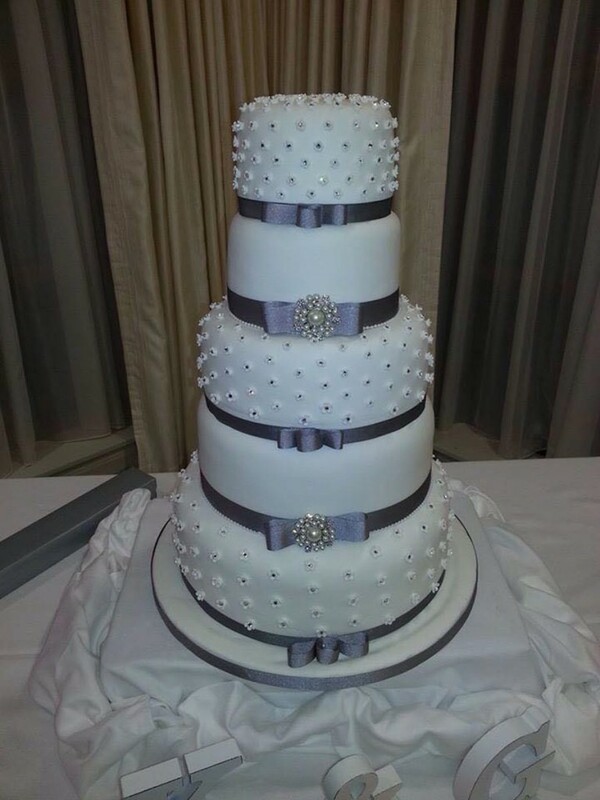 Reception: Ramada Shaws Bridge, Belfast, tel: 028 9092 3500. 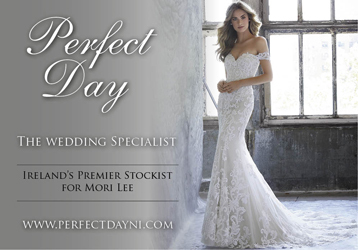 Wedding Dress: Serendipity Bridal, Fivemiletown, tel: 028 8952 1371. 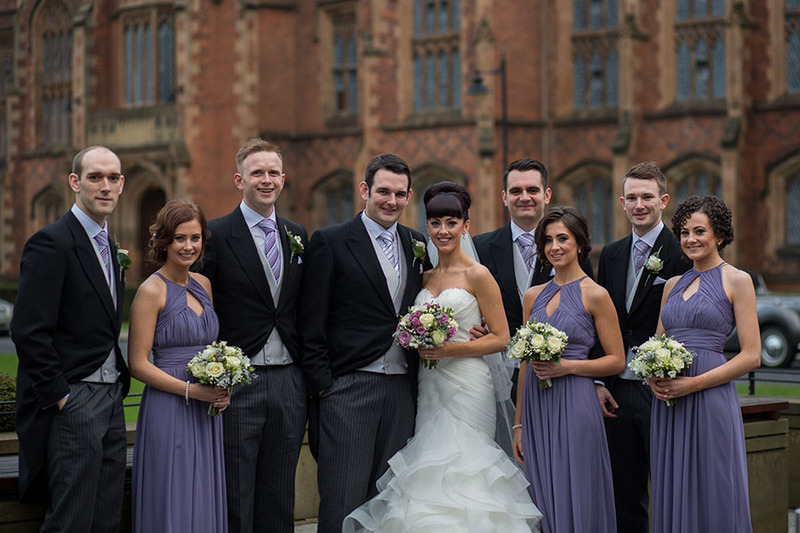 Bridesmaids dresses: Divinity Bridal, Lisburn, tel: 028 9269 0876. 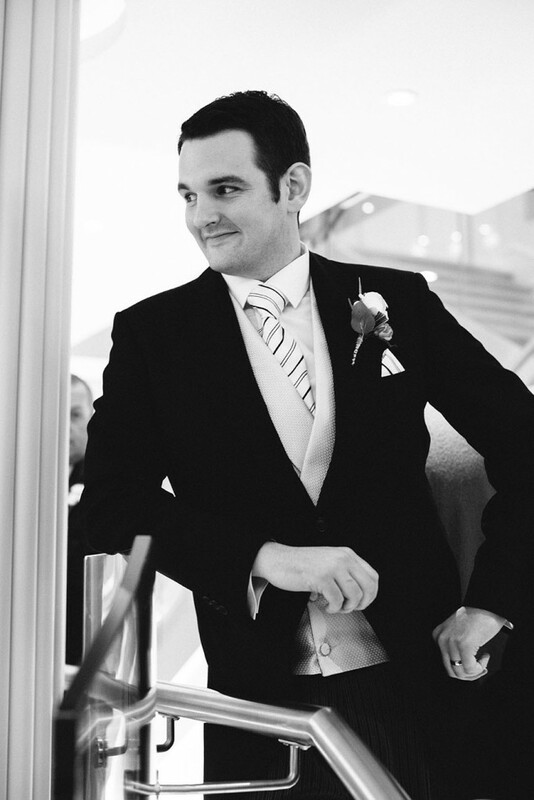 Groomswear: Debonair Groomswear, Portadown, tel: 028 3833 0033. 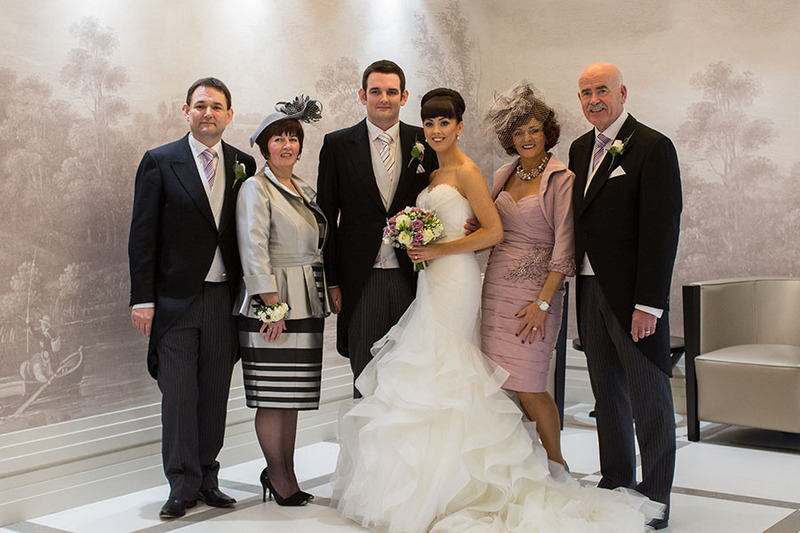 Flowers: House of Elliott, Lisburn, tel: 028 9266 7104. Room Décor: Charm, tel: 07754 118 820. 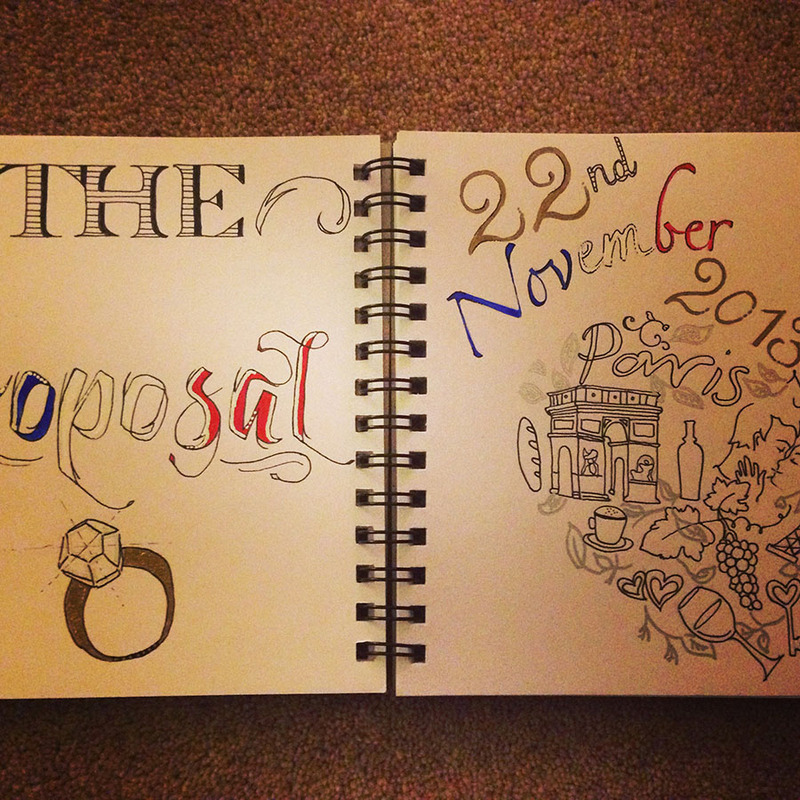 Stationery: Forever Evelyn, tel: 07742 491 397. 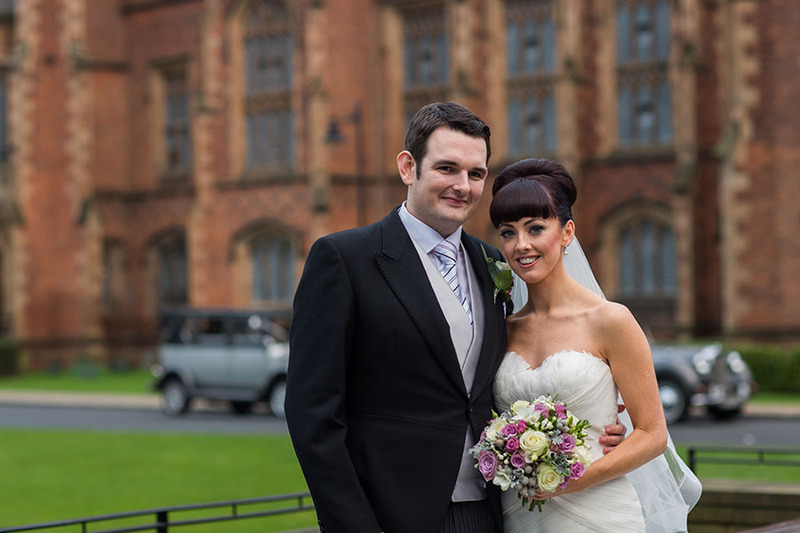 Transport: David Andrews Wedding Cars, Belfast, tel: 028 9069 3131. 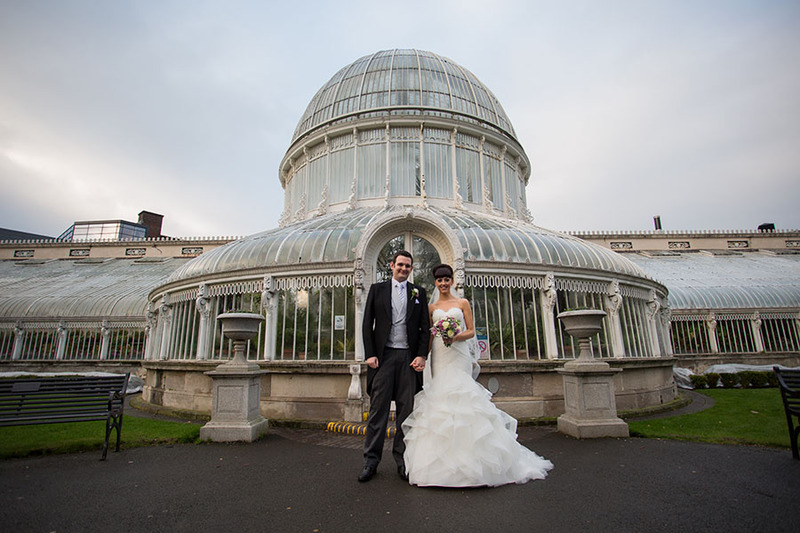 Photography: Bradley Quinn Photography, Portadown, tel: 028 9092 3377. 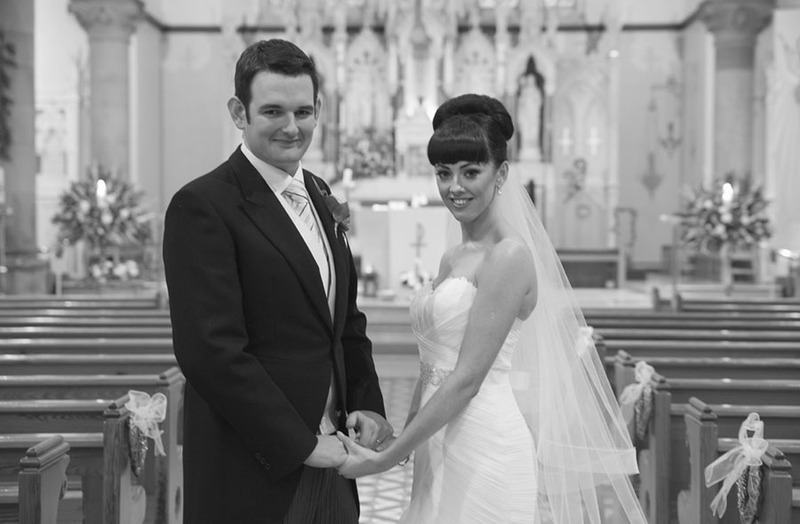 Videography: Cameo Pics, tel: 07800 536 751.